"Home of the Potato Fest"
The town's name was taken from the vice president of the International-Great Northern Railroad Thomas W. Pearsall. 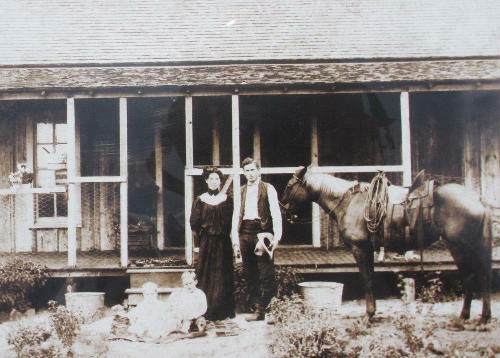 Travelers between Frio Town and Pleasanton in the 1870s stopped for water at a place called Wagner's Well. 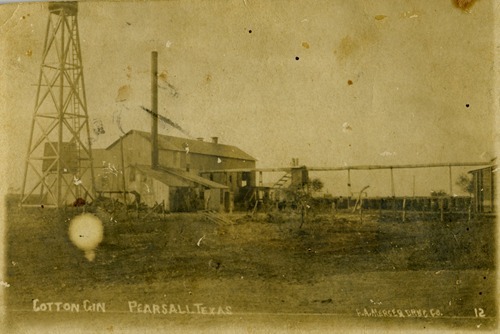 The International-Great Northern Railroad bought the land around the well and in February of 1882 the railroad platted the town of Pearsall. 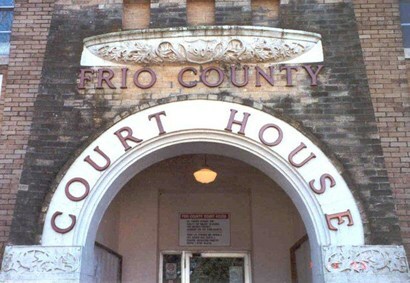 As in many other Texas towns, one formerly prosperous town (in this case the county seat of Frio Town) abandoned their homes (and courthouse) to move closer to the railroad tracks and a connection with the rest of the world. Excursion trains came from San Antonio to entice people to buy lots in the new town. 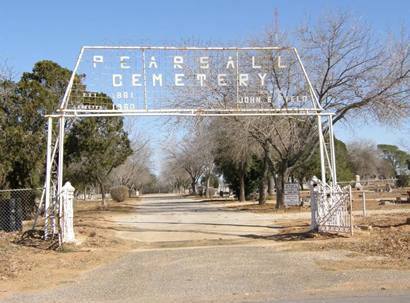 Two years after being platted, Pearsall had 700 people and had been declared the new county seat. 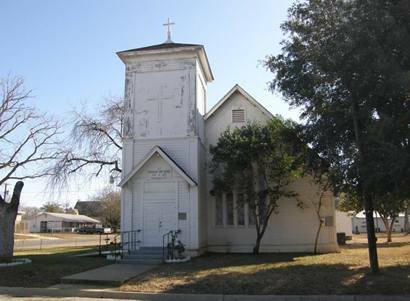 They also had a school, churches and weekly newspaper known as the Pearsall News. A fire burned much of downtown, but in 1890 there were 1,000 Pearsallians. 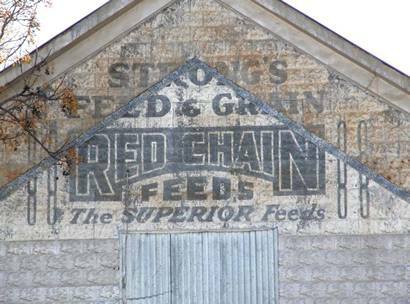 In 1907 the Frio Cotton Oil Company was founded and also the Pearsall Artesian Well Company, which provided the town with electricity. 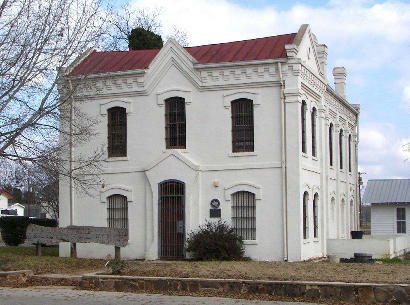 A bank was opened in 1908 and the city incorporated in 1909. 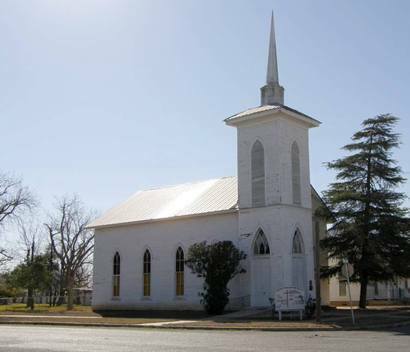 In 1914 Pearsall's population had climbed to 2,000 and amenities included several newspapers, stores, and the 500-seat Laurel Opera House. 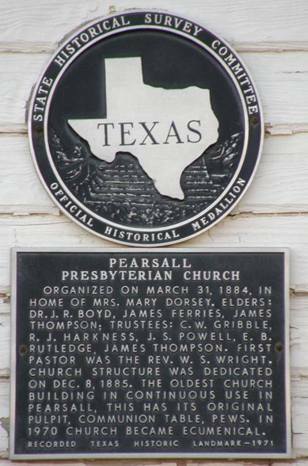 In 1936 Pearsall's population was 2,536. 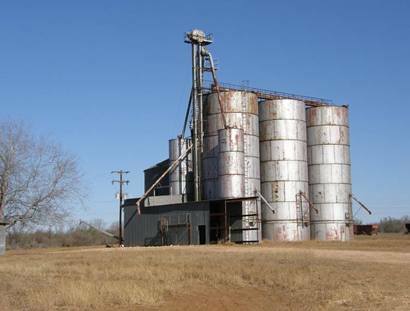 Oil was discovered in the 1930s, so the town didn't fare as poorly as other places. 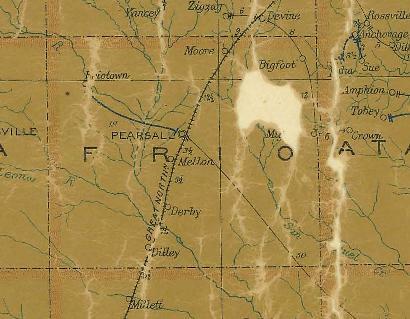 Most of Pearsall's roads were paved in 1947. 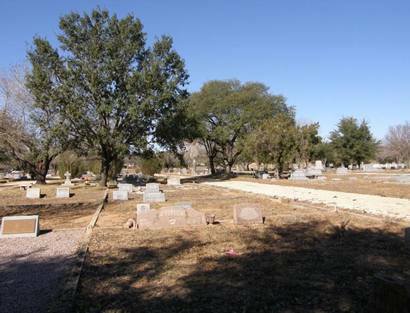 In 1980 Pearsall had an estimated population of 6,450. In the early 1990s the town had something of an oil boom. 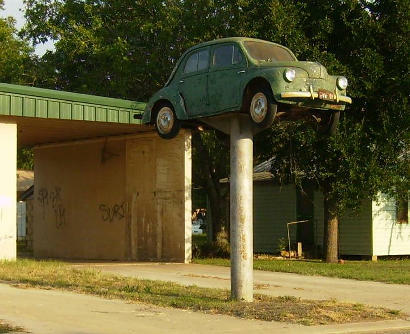 Hi, Sarah, Thanks for the pictures of things in Pearsall that you submitted to TexasEscapes. However, I think I must tell you that the "birdhouse" is not a birdhouse at all, although it seems to be very attractive to birds. 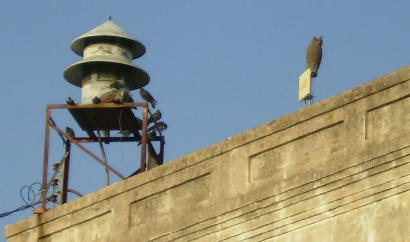 In reality, it is a siren that was formerly used to summon volunteer firemen to the fire station. 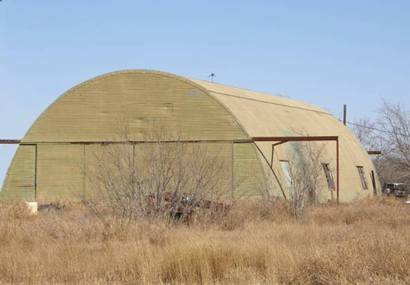 It was also used to warn residents of Pearsall about impending severe weather events or even air-raids (during World War II). By the way, the People's State Bank building is now home to Garcia's Restaurant instead of the Cactus Bowl. A bar and gaming room is on the second floor. 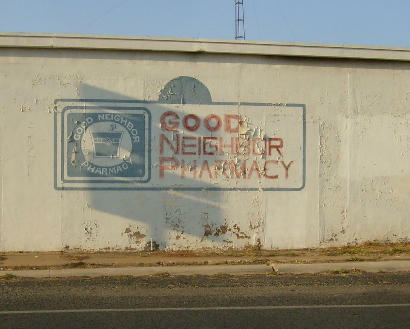 It seems to be very popular with the multitude of oil-field workers and residents of the area. 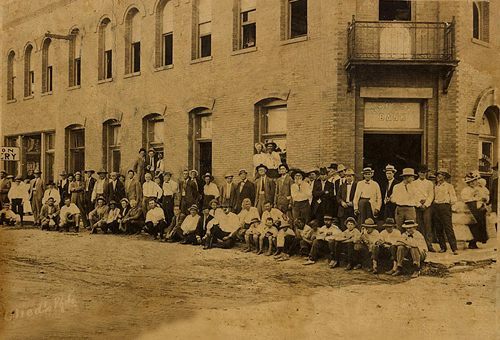 "The [top] photo shows the People's State Bank and, on the second floor, the Laurel Opera House. Unfortunately, I have no information about the occasion surrounding this gathering of the townsfolk, nor of its date, although I believe it to be about 1920. In later years a third floor was added to this building, and it eventually housed the A & C Hardware store. 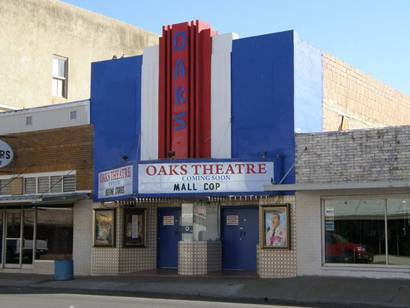 Today (April 2006) it is home to the Cactus Bowl Cafe, which moved from its former location at the corner of North Oak and Rio Grande streets in 2005." - George C. Toalson, April 28, 2006.